? 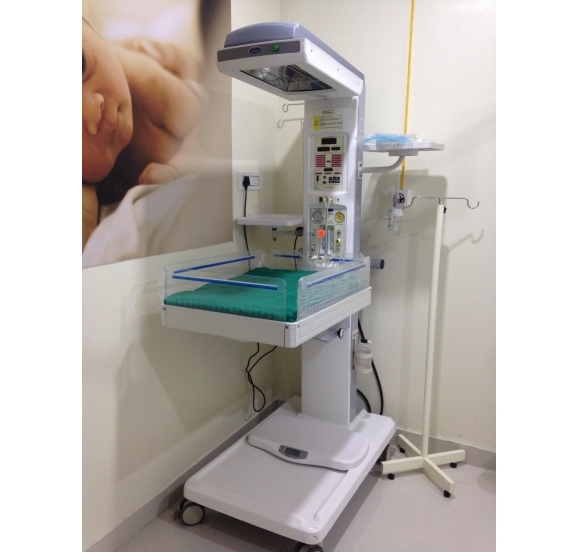 A Micro-processor controlled Infant warming system with Resuscitation.
? Three Mode of Operation Servo Skin, Servo Air and Manual.
? The baby bed is tiltable at both sides for Trendelenburg and Fowler’s position.
? Easily removable and Unbreakable Aluminum hinge with acrylic side panels to clean the subsequent usages.
? Provides optimal resuscitation with safe and controlled Peak inspiratory pressure (PIP) and a consistent and precise PEEP Optional Features: Built-in Weighing Scale.